While it is not always easy to be fit and indulge in sweet treats, the good news is, our dietary items can help you or your customers achieve peak performance. 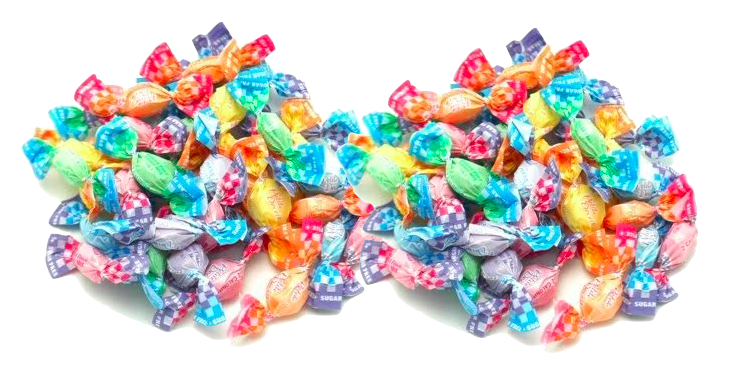 At Weaver Nut, we have a true passion for candy - which is why you will find any type of bulk candy imaginable, and you can also select from many different flavors and styles of wholesale sugar free and carb free candies, organic candy, and even non GMO items. Here are some of the incredible candies from our wide assortment of products to satisfy anyone’s standards, sweet tooth, and dietary requirements. Sweet mint covered in silky milk chocolate – a delicious and guilt-free treat! These truffles by Asher’s are low sodium and sugar free, so go on and enjoy a few. From fruit flavored candy to delicious chocolate, pina colada, butter rum, and many more flavors, at Weaver Nut there are plenty of sugar free candies to satisfy anyone’s tastes and needs. If you want to take some yummy sweets to the beach or to your travels, choose Chipurnoi Petite Deceit Sugar Free Wrapped Hard Candies. Try these amazing individually wrapped flavors from Italy - Petite Deceit miniature hard candies come in Assorted Fruit Flavors of blackberry, strawberry, lemon, pear, orange and blueberry. They are Sugar Free, Gluten Free, Vegan, and No GMO, and truly great tasting. For those with sweet tooth who seek organic products, we offer delicious Blommer Chocolate Organic Wafers made with wholesome organic ingredients. Choose between Organic Dark 54%, a semi sweet dark chocolate with delicate notes of brown fruit, and Organic Dark 72% chocolate discs with more intense flavors for the true chocolate lover. They are excellent for creating a healthier chocolate dessert, too. Also, for a healthy and tasty add on to breakfast cereal, smoothies or a chocolate dessert, we have Organic Toasted Long Coconut Chips. Our bulk candy and other products are perfect for repackaging and retailing, so our assortment of wholesale candy will have your patrons happily filling their carts in your store with a fun variety of yummy treats and candy. For quality sugar free candy, organic candy, non GMO candy, and other delicious and unique bulk candies, trust your wholesale supplier Weaver Nut Company, Inc., and stock up on dietary choices today!